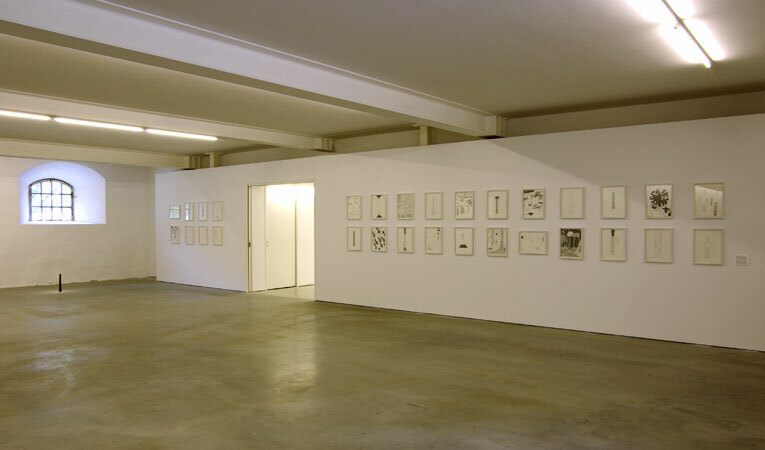 Installation of drawings and small bronze sculpture, at the Wanås Foundation, Knislinge, Sweden 2008. The "Eighth Chimney", 17 meters high, was built during May-June 2007 for the 20th Anniversary exhibition of the Wanås Foundation. The other two artists invited to show mayor outdoor installations in 2007 were Louise Bourgeois and Fernando Sanchez Castillo. Additionally, the artists exhibited drawings in the Foundation's Kunsthalle. JS showed a selection of 30 chimney drawings covering 1994-2007.